We run a regular programme of introductory classes for people aged 18 or over who are new to Buddhism and meditation as practiced in our tradition. Because meditation is one part of an overall package in Buddhism, most of our classes for newcomers are an introduction to Meditation and Buddhism, rather than being just about meditation alone. We have a well stocked bookshop with many books on Buddhism, meditation, lifestyle, biography, different traditions such as Theravada, Tibetan and Zen Buddhism. 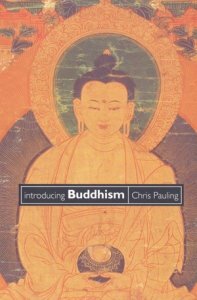 This includes books by Sangharakshita, members of the Triratna Buddhist Order and most contemporary authors such as Bhikkhu Bodhi, Stephen Batchelor, Pema Chodron, Sharon Salzberg and many more. We also carry cards, incense and some Buddhist images. I have loved every part of this course. Even though I had learned both meditations many years ago, I got so much out of it.